NORTH BATTLEFORD, SK--(Marketwired - August 10, 2017) - With seven months of run-time behind it, the MemFree Wastewater Treatment System is exceeding expectations at the Town of Unity. And this bodes well for the province. The first-of-its-kind-in-Canada wastewater treatment system was installed in the Saskatchewan town back at the beginning of January 2017. The two systems in Unity were manufactured by Tecvalco Ltd., which is headquartered in Niagara Falls, Ontario, and has their primary manufacturing facility located in North Battleford, Saskatchewan. 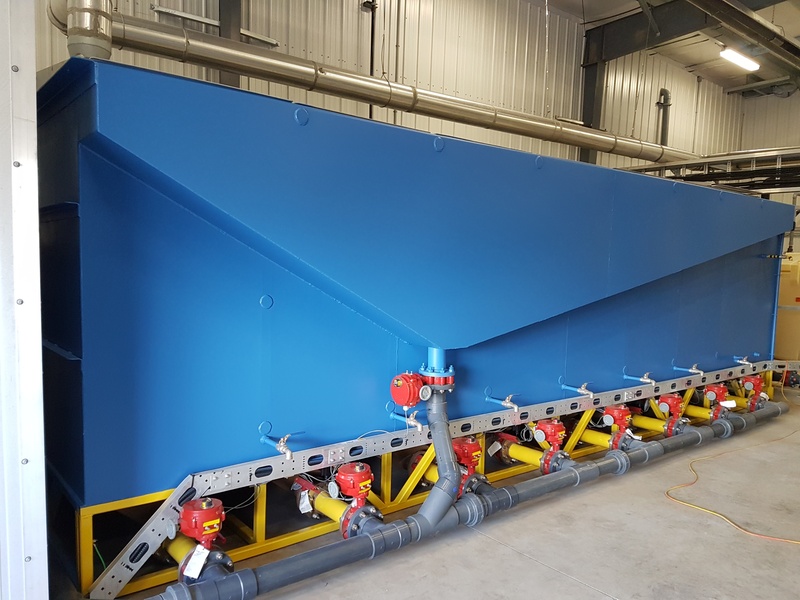 "The Unity project was an integral first for use of the MemFree system on wastewater treatment in Canada," noted Tecvalco president Mike Menger. Mr. Menger believes so strongly in the growth potential of this product, that Tecvalco recently completed a hiring blitz in North Battleford, adding an additional shift to the manufacturing facility. "We believe in this product, and in the community that we have chosen to call home for our manufacturing efforts," Mr. Menger added. "It's fantastic being able to generate more meaningful jobs here in Saskatchewan." He has every reason to be optimistic, as the test results are proving the technology works. 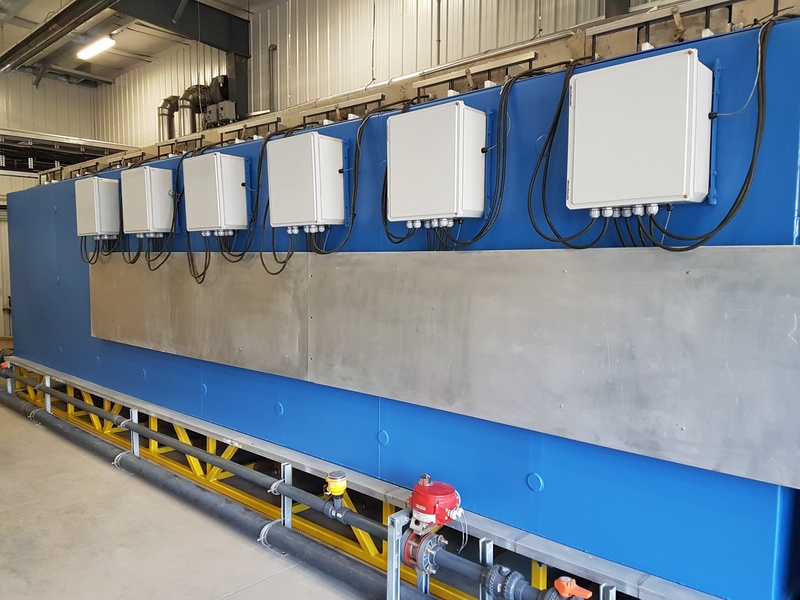 "Results we are getting show that the technology has proven to exceed Canadian standards for wastewater by 400 per cent," noted Darrell Behan, CEO of Soneera Water. Mr. Behan added that the interested being generated by the Unity installation is enormous, especially in Saskatchewan's smaller communities. Numerous representatives from other communities have made the trip to Unity to see the units in action, and view the results for themselves. Mr. Behan added that Soneera Water presented an update to the Town of Unity on the system a month and a half ago, and they were very pleased with the progress. "All things considered, I believe the MemFree system is surpassing expectations so far," said Collin Field, the Director of Public Works and Infrastructure at the Town of Unity. While small towns are the prime candidate for this system, the system is capable of much more. It has applications in industrial use, oil and gas, tailing ponds, breweries, creameries, dairy operations, and a wide variety of other commercial and agriculture sectors. Unity began their search for a new wastewater treatment solution when they were told by the province of Saskatchewan that their current wastewater system could only support 2,500 residents. Faced with the prospect of growth in the near future, the town then spent 18 months researching options. They finally settled on the MemFree system, which is an Australian technology, owned by Arizona-based Soneera Water. In January of 2016, Soneera and the Town of Unity signed the original Supply and Service agreement. Since then, Soneera partnered with the Canadian company Tecvalco Ltd. to manufacture and sell the system in this country. The two MemFree systems were installed in a new building located at the current lagoon site, west of Unity. The Town Council settled on MemFree, which is a continuous-flow electroflocculation water treatment system, primarily due to economics. They stated that this was the most viable of all the options financially, but added that the system is appealing for other reasons as well - mainly its small footprint and ease of use. "The MemFree units should enable the Town to grow in population by another 45 per cent," Mr. Field said, adding that the growth in population creates a boon for local businesses as well. The two systems are made up of eight cells each, which is sufficient to handle the wastewater treatment needs of a community of 3,600 people. However, the system is modular, and can be expanded to handle the requirements of 6,000 residents. The Town of Unity currently has a population of just over 3,000. Wastewater treatment is a significantly growing concern in Canada, which affects more than just the growth potential of small communities like Unity. Per the Government of Canada's Environment and Climate Change website, over 150 billion litres of untreated and undertreated wastewater is dumped into Canadian waterways every year. The website notes that this is an environmental, human health, and economic issue. Come have a look at how the MemFree Wastewater Treatment System is working in Unity, Saskatchewan. There are two MemFree Wastewater Treatment System units running in Unity, Saskatchewan. One of the two MemFree Wastewater Treatment units running in Unity, Saskatchewan.